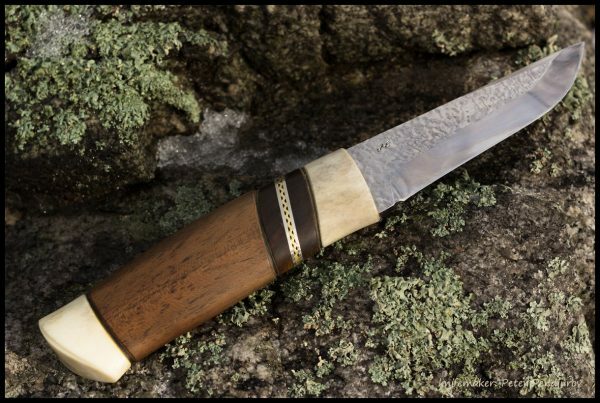 This is a nice blade from Maihkel Eklund from Sweden. 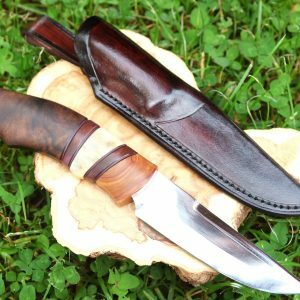 I have used other of his blades before and he is an excellent bladesmith! 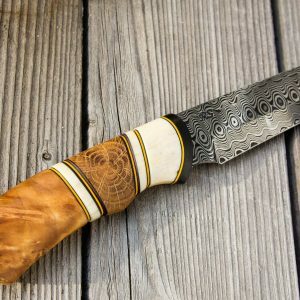 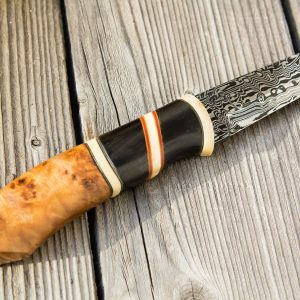 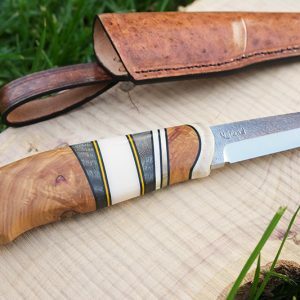 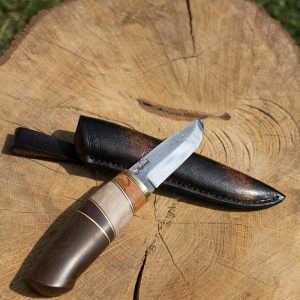 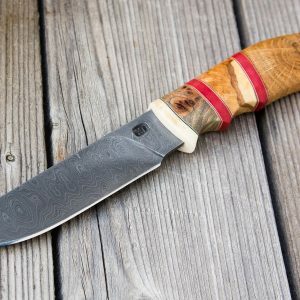 This knife features two pieces of moose antler and two types of stabilized wood. 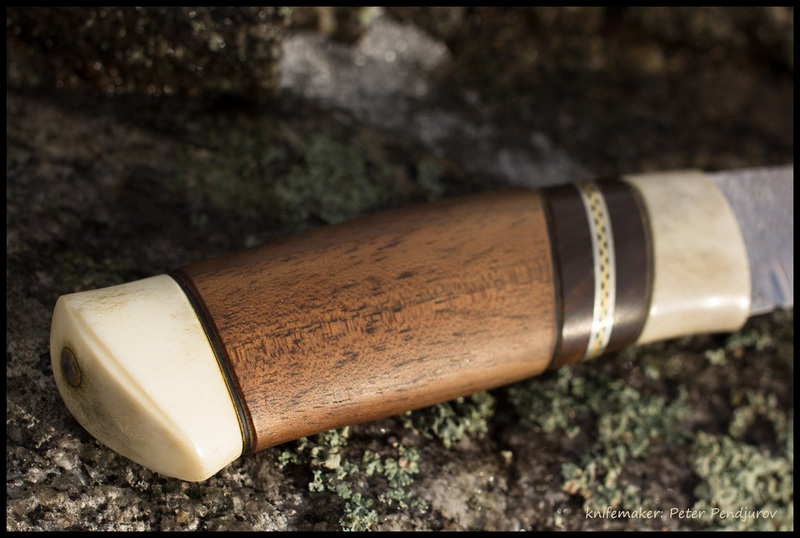 There are also brass and nickel silver pieces. 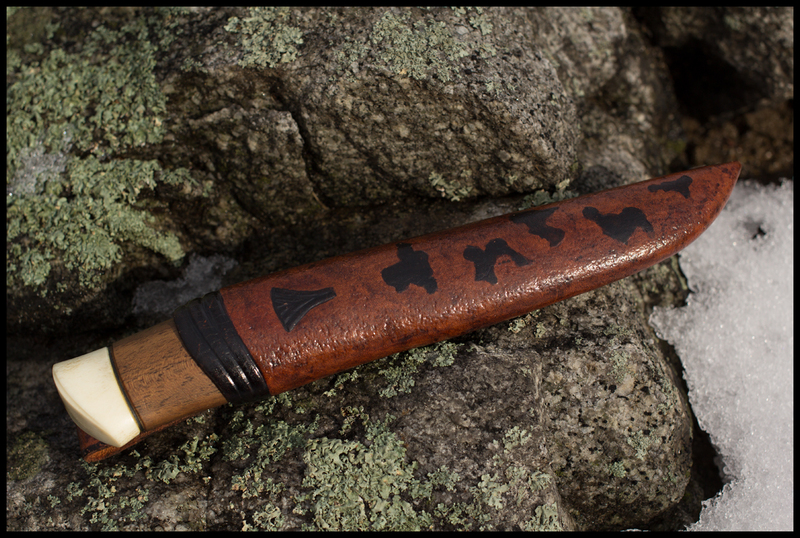 It is currently owned by my son who enjoys going fly fishing with it!